Even after more than 30 years working for Max Mara, Creative Director Ian Griffiths is still giving us fresh and exciting reinterpretations of the Italian label's signature silhouettes. 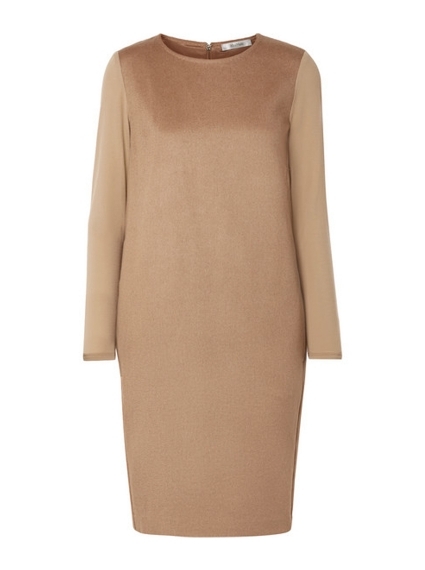 This 'Astoria' dress is tailored from tactile camel hair - a fabric normally reserved for the label's coats - and trimmed with warm stretch-wool sleeves. Dress yours up with heels or team with white trainers at the weekend.